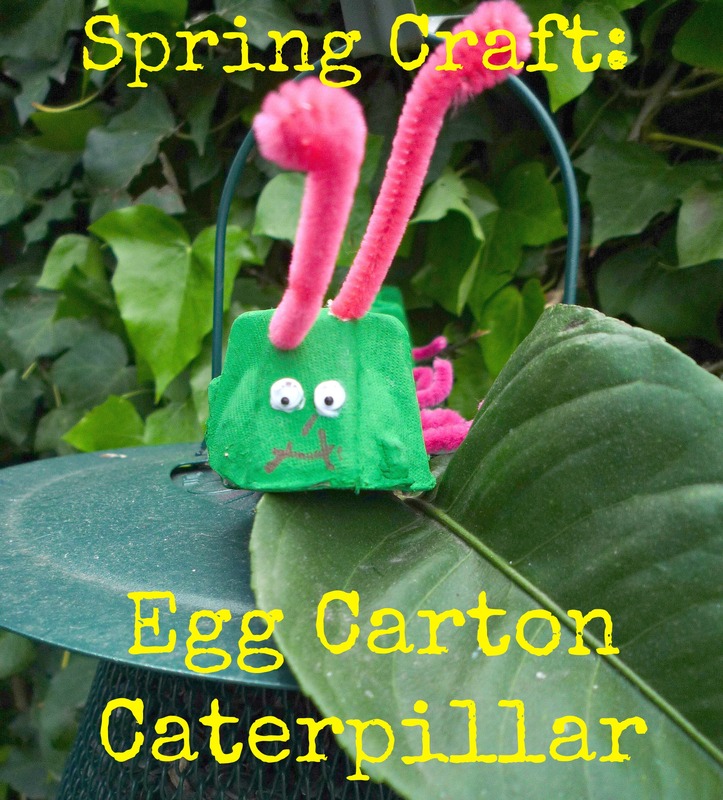 This spring craft offers kids so much room for imagination and learning. This is a great craft to bring a butterfly life cycle lesson to life! This project requires some recycled egg cartons so this would also be a perfect classroom craft for earth day to demonstrate recycling and reusing materials for new projects. Cut off the top of the egg carton, and cut the bottom half into two strips to make two caterpillars. Place the egg carton strips upside down so the hollow of the cups cannot be seen. Paint them green, then allow the paint to dry. Once dry, use markers to add details, such as the eyes, nose, and mouth, or glue on wiggly eyes. Cut two pipe cleaners into thirds. Insert one piece of pipe cleaner on the side of each cup to create the caterpillar’s legs. Inside each egg cup, bend down the ends of the pipe cleaners. Tape can be used to secure the antennae and legs. Our little crafters loved the caterpillars so much they immediately took them to the trees so their caterpillars could eat leaves! Have the students make butterfly wings out of construction paper and hold on to these for later. Keep the caterpillars in the trees. The next day, before the students come to class, add the butterfly wings to their caterpillars and put each caterpillar in a brown bag, like a chrysalis. Hang them up in the trees and when they notice them, tell them we will have to wait and see what “those bags” could be. The following morning, tear open the bags and have the caterpillars hanging half in and half outside the chrysalises, drying their butterfly wings. 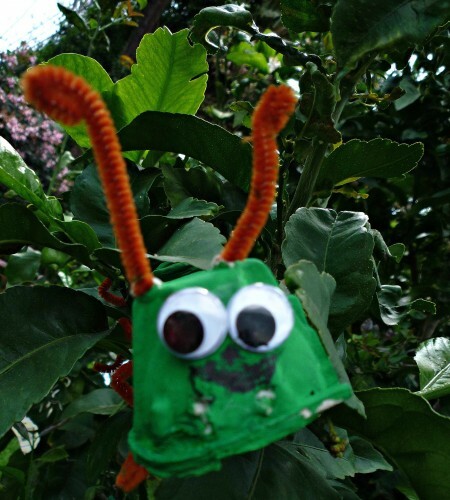 -Add more personality to your caterpillars by using plastic wiggly eyes or construction paper for clothes and shoes. -Other insects can be made from single sections of an egg carton. 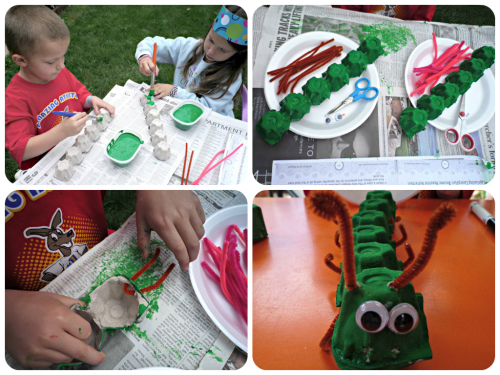 Try making ladybugs, painted black with red spots, or spiders, painted black with eight pipe cleaner legs. -Obtain a copy of The Very Hungry Caterpillar by Eric Carle (Putnam, 1969) and A Guide for Using The Very Hungry Caterpillar in the Classroom and try some of the creative writing activities and pocket chart patterns. For more spring crafts and activities see, Art for All Seasons.